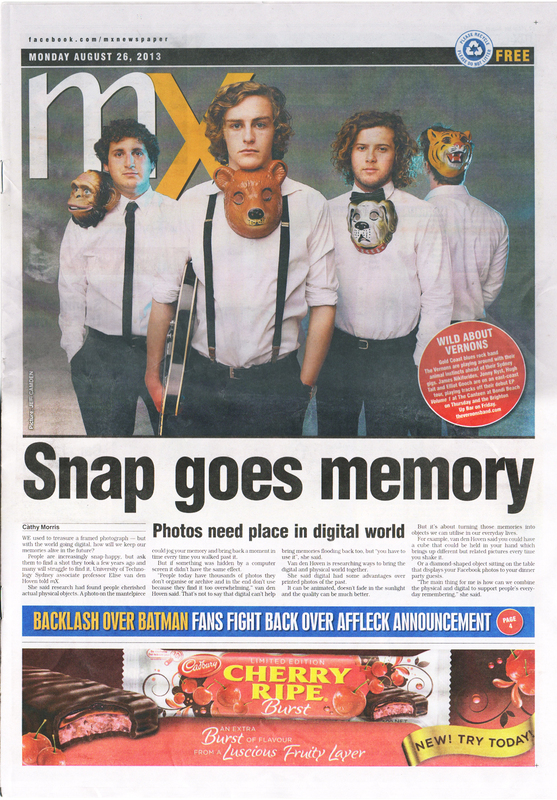 Snap goes memory. Interview with Elise van den Hoven by Cathy Morris in mX Sydney newspaper. Front page, August 26, 2013.